As Dr. Ibraheem Al Shareef examined the chubby legs of 4-month-old Lexie, he noted that one side of her body seemed abnormally large compared to the other. He whipped out a tape measure and decided to measure one leg to see. Sure enough, it was 2 centimeters wider than the other. “We’ll need to do some testing,” he said to Dao Thao, Lexie’s mom. Thao looked worried. “I was thinking maybe everything is fine, [that] she was just born like this,” Thao said. Such developmental screenings in a child’s first year of life are important since they can pick up potentially serious problems early, said Dr. Al Shareef. Thao has been bringing Lexie to the clinic, the Golden Valley Health Centers in Merced, since she was born. Yet across Merced County, where 43 percent of all children under 3 live in impoverished families, according to Kidsdata, health professionals worry that pregnant women and small children are not accessing adequate health care. For a pregnant woman, prenatal care can improve the health of her fetus, and for children under 2, regular wellness checks and early vaccines are critical, said Al Shareef. But impoverished parents are juggling a lot: Finding child care and housing, getting stable work, putting food on the table. Sometimes, going to the doctor for preventative care falls down the list of immediate priorities. For Dao Thao, the news about Lexie’s growth is troublesome. Testing means having to go to a neighboring county where there is a hospital. She will need to find someone with a car to take her, her husband will have to get time off work, and she will have to find child care for her other four children. The Central Valley city of Merced is a place where prosperity sits alongside entrenched poverty. 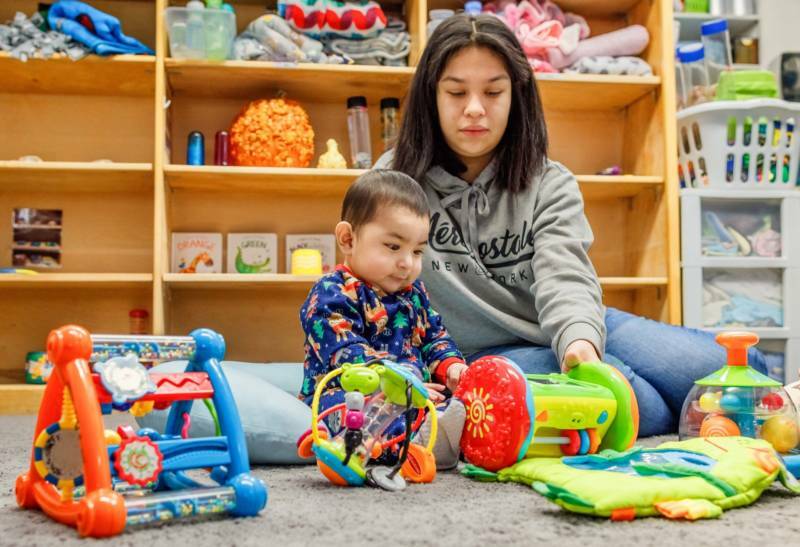 Life for nearly half of the county’s littlest residents begins in a family that struggles to pay bills, often does not have stable housing, and might not be accessing critical prenatal or infant health care services. But that health care often goes missing in the first three months of pregnancy, experts say. County officials also said nearly one-quarter of women living there in 2012 did not receive adequate prenatal care during their pregnancy, compared to 10 percent of women statewide. That worries Donna Chin, a supervising public health nurse at the Merced County public health department. She said that prenatal care can detect early problems with the fetus and help the mother make informed choices. Regular doctor visits while pregnant also emphasize the critical importance of taking vitamins and eating a healthy diet, something that may be difficult for low-income women. When these things don’t happen, sometimes the baby is affected, Chin said. Chin’s team of home visiting nurses aims to help connect impoverished mothers and mothers-to-be with health services and education. They also go out and find mothers who may be off the grid, living in tents or in their cars. Another public health nurse in Merced County, Rebecca Melero, said she sees stable housing as a public health issue, especially for families who have children under the age of 2. “I see a lot of co-housing with multiple family members in a very small space, or sometimes no space at all, so they’re in their vehicle,” Melero said. Dealing with housing is directly connected to healthy outcomes for children, Melero said. Co-housing is common amid rising housing costs and homelessness statewide, and it can be stressful for families with small children to live in someone else’s home, county officials say. Norma Sandoval grew up in Merced and now lives with her 4-month-old, Alex, in the apartment of her boyfriend’s parents. It’s a small space, and a tense living arrangement for Sandoval. She generally holes up in a tiny room with Alex to avoid confrontations with the parents, but knows this can’t last long since her baby will soon need room to crawl and then walk. Sandoval is hoping to get a Section 8 housing voucher so they can move on. Getting the voucher, however, is one thing; finding a place in Merced will be the bigger challenge, she said. Sandoval also fits another profile that worries public health officials in Merced: At 17, she’s a teen mom. “Many of the births in Merced County are teen pregnancies,” according to the 2016 Community Health Assessment for Merced County. The county’s rate of teen pregnancies is significantly higher than those statewide. Sandoval has many friends who are also young mothers. While she went regularly to see an OB/GYN during her pregnancy, she said none of her friends did. “Maybe because they didn’t have time,” she said. And this is one of the biggest challenges Chin’s public health team faces, emphasizing the importance of prenatal care when women are struggling to get by. “There’s a higher incidence for teen moms to have a pre-term birth,” Chin said. But Chin’s team can’t get to every pregnant mom, which is one of the problems when the numbers of impoverished families is so high in one place. “We’re trying,” Chin said. Dr. Al Shareef’s clinic, the Golden Valley Health Centers (GVHC), serves primarily impoverished families in Merced and the Central Valley. 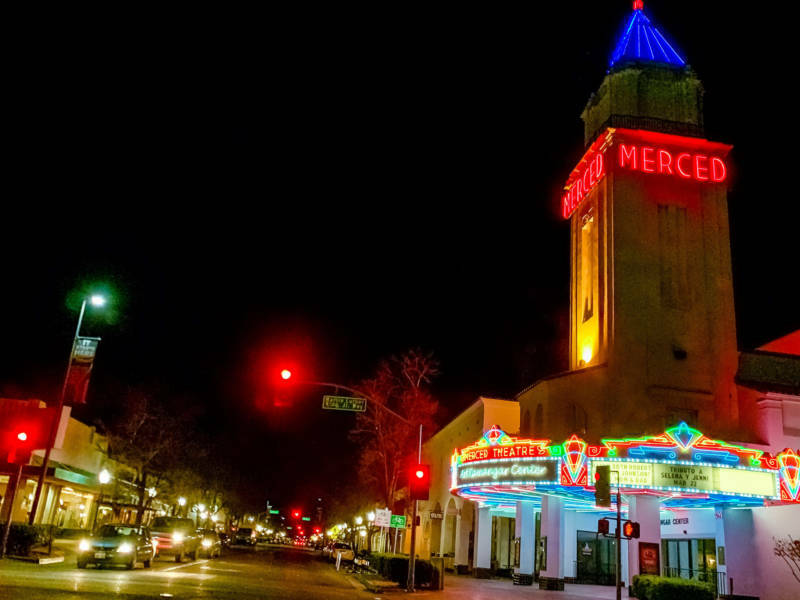 It has many small outposts and a sprawling, campuslike main facility in downtown Merced. It’s a one-stop shop where medical, dental and mental health care can be obtained. The centers' patients largely have their medical insurance covered by the state, with some federal and county funds chipped in. Merced’s Health and Human services office counted a monthly average of about 130,000 children receiving Medi-Cal, the government provided health insurance, for 2017-2018 . 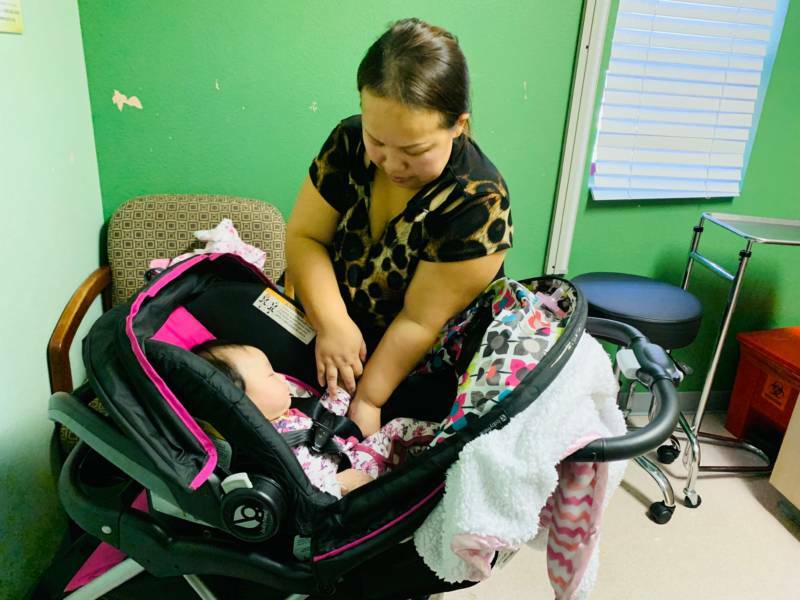 Like the Merced County public health department, GVHC has a program of community health workers who go into the community and help connect parents with pediatricians. They also go to high schools where teen moms are studying and lead workshops on parenting and managing stress. Al Shareef said he will stay on top of things with Lexie and will make sure her parents have a ride to the hospital to get the tests done. Yet he can't help with child care for her other four children while they go, nor lost wages for Lexie’s dad, who will have to miss work. “It’s definitely challenging,” he said, as he typed up the referral for Lexie’s ultrasound and other tests.